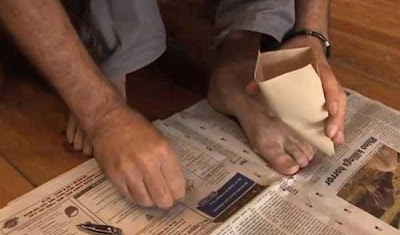 A South African man armed with a nail cutter is trying to help stamp out rhino poaching by sending toenail clippings to the Chinese embassy in Pretoria. Mark Wilby said he wants to make the point that rhino horn, which sells for prices higher than gold as a traditional Chinese medicine, is made up of keratin - a protein which is a component in human nails and hair. "I felt that we have moved beyond the time of politeness. I am not doing it out of disrespect to the Chinese authorities, but how else do you get their attention," Wilby said. Wilby has produced a video calling on others to clip their nails and send them by post to the embassy. Rhino poaching deaths in South Africa, home to almost all the rhinos in Africa, hit a record annual high in October, driven by the use of horns in Chinese medicine and a spreading belief in Southeast Asia, unfounded in science, that they may cure cancer. The number of rhinoceroses dying unnatural deaths in South Africa, either through illegal poaching or legal hunts, has now reached a level likely to lead to population decline, according to an expert study. Officials from China and South Africa have been working together to reduce poaching. Chinese embassy officials were not available for comment. A great, thought provoking stunt. This should go global.